Thank you! Check your inbox, you have a free gift coming! Hey there, I’m Kia McClain. I am an award-winning growth entrepreneur who relocated to KC. Kia at Stennis Space Center as a NASA Social Media Influencer for the Mars Mission. Kia McClain is an award-winning entrepreneur and multi-talented growth marketer. Her story began on MySpace where she was a rapidly rising spoken word artist on the site due to her growth strategy. Kia left MySpace for a more growth friendly website, Imeem.com. On Imeem she gained the top ten most popular profile on the site, regardless of superstar entertainers arriving to the site, such as Beyonce. This earned her an official profile and the attention of the major music industry. Kia continued to develop her growth strategies leading to her creating one of the top twenty fastest growing brands on Facebook (as noted by Business Insider), which also led to her first exit and the start of her relationship with Google as a Google Partner. Capitalizing on the learning resources and opportunities Kia gained from Google, she went on to become a corporate trainer and growth marketing consultant, starting her own award-winning agency, Shenomenon. She used her expertise to help build brands such as Plated, LawnEQ, The Laya Center, and Coworking Spa while gaining working relationships with NASA, Google, and more. Kia has led a multi-faceted career that has set her apart from the crowd as an expert strategist which has gained her an endless supply of priceless relationships across a number of industries and several unique opportunities. 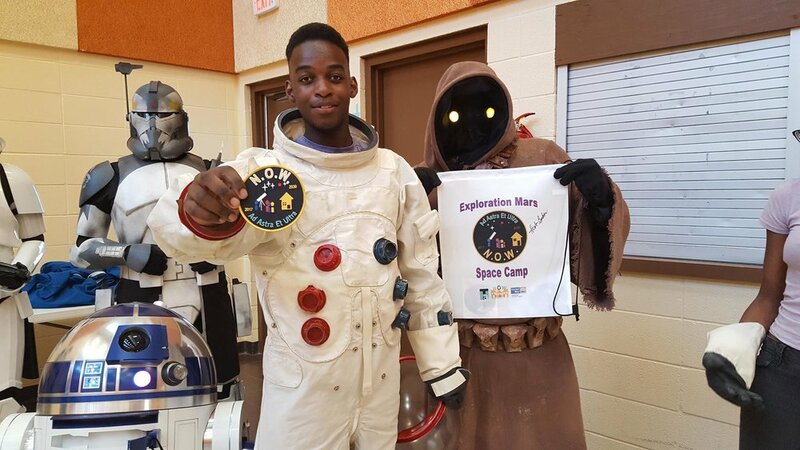 Kia’s son, Elijah, wearing an Apollo mock-up suit at Kia’s first space camp to promote the mission to Mars.